The LastPass Blog: Could your company's data use an extra layer of security? Meet the LastPass Enterprise + YubiKey Bundle. Could your company's data use an extra layer of security? Meet the LastPass Enterprise + YubiKey Bundle. Want to find a middle ground between securing access to your company's data, while still increasing your team's productivity? If you're unfamiliar with our Enterprise offering, it has the same core functionality as the standard LastPass product, but with extensive administrative capabilities and robust sharing features for easily assigning, reassigning, and monitoring company data across individuals, functional teams, and the whole organization. Not to mention, with LastPass Enterprise, you are able to enforce high security standards - without asking too much of your employees. Now you can easily use multifactor authentication, too, with the YubiKey bundle. The YubiKey is a "token" that looks like a small USB memory drive, but is actually a keyboard. LastPass multifactor authentication combines something you "know" (your LastPass master password) with a physical device (the YubiKey) that securely generates a second piece of data. It protects from hackers at a security level that can be compared with a smart card. With the new LastPass Enterprise and YubiKey bundle, you can add cost-effective security to employee accounts and company data, and increase team productivity. We'd call it a win-win! If you think Enterprise could help your team, get started with a complimentary trial. 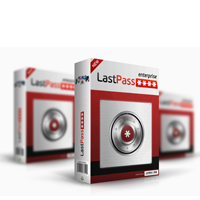 If you're already in trial or have an existing Enterprise account, you can purchase a LastPass Enterprise and YubiKey bundle at any time here.